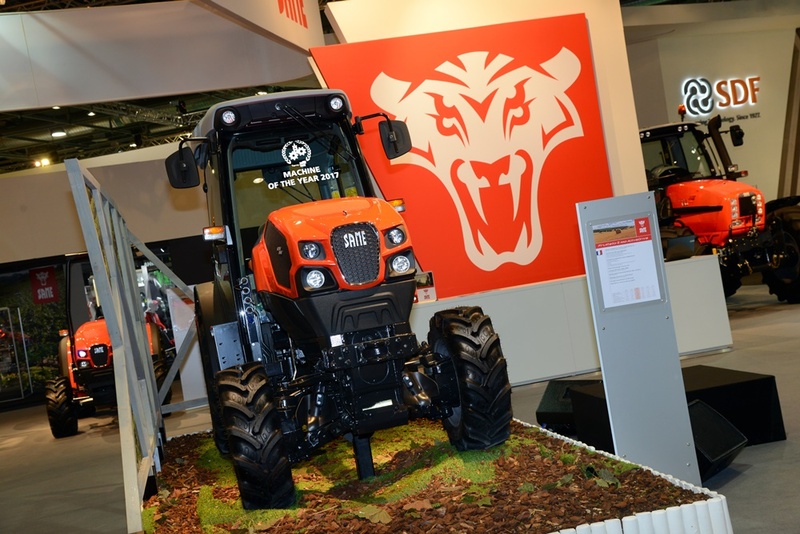 The SAME Frutteto S ActiveDrive won the best specialised tractor category of the “Machine of the Year 2017” awards. 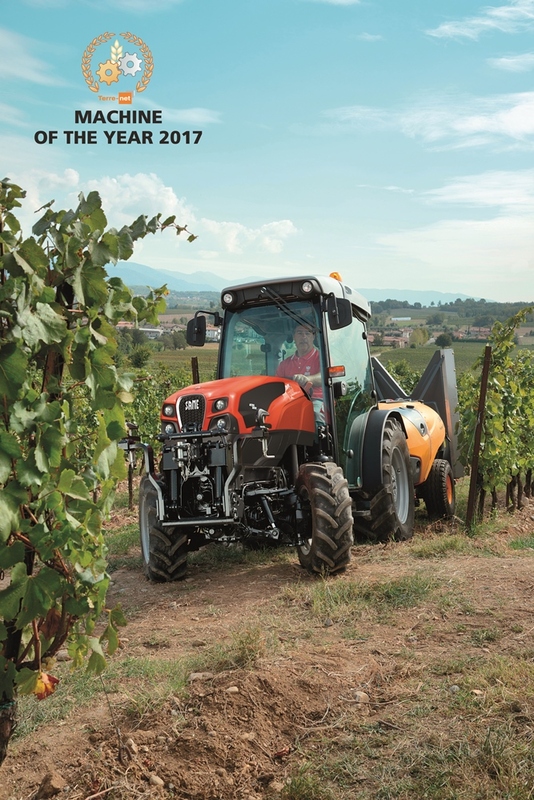 The prize was awarded on February 27 at the SIMA international show in Paris by a panel of journalists representing authoritative European magazines in the mechanised agriculture sector. This accolade comes after the “Best of Specialised” class win by SAME Frutteto S ActiveDrive during the 2016 Tractor of the Year awards. 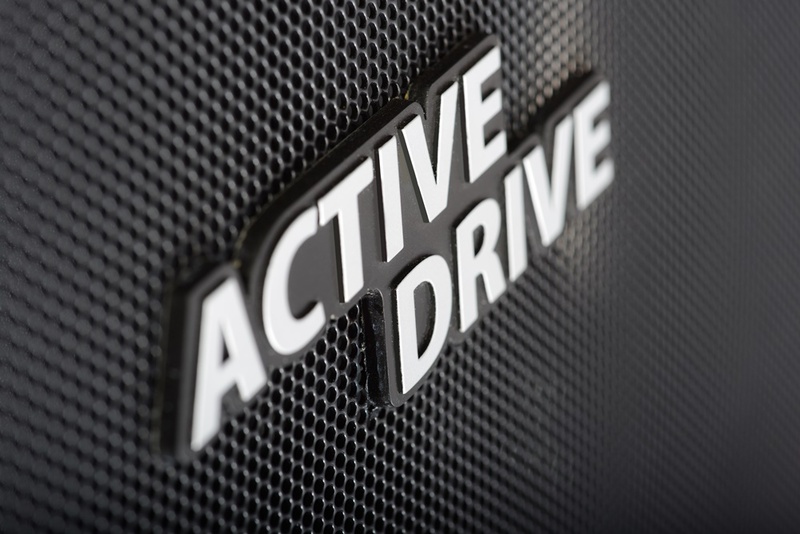 Advanced technology and specialised capability: these are the two key strengths of the SAME Frutteto S ActiveDrive range. Tractors conceived to offer extraordinary agility and comfort even when working in the narrowest spaces between rows and on rough terrain. SAME Frutteto S ActiveDrive tractors are equipped with exclusive independent arm suspension - a feature available until now only in top-of-the-range tractors - for maximised stability and safety in all terrain conditions. The most innovative aspect of these machines, however, is the synergy with which all the different mechanical, hydraulic and electronic components constituting the tractor itself work in unison to offer levels of stability control and traction unparalleled by any other machine in their class. The adaptive suspension management function is controlled with a simple press of a button. This function of the electronic control system adjusts the suspension shock absorbers in real time, setting a softer or harder damping action according to operating conditions. The result is a ride control system that eliminates vibration, making work safer and more comfortable. In addition to this, the machines are equipped with an anti-dive system which makes braking even safer by preventing the front suspension from diving and causing the centre of gravity to shift forwards. The anti-roll function, on the other hand, automatically adjusts the damping action of the suspension in relation to steering angle and speed, for superior stability and grip on the road. The Frutteto S ActiveDrive offers maximised comfort on the road, with a permanently active automatic self-levelling system which keeps the suspension rams at mid extension by continuously analysing ground speed, steering angle and signals received by the electronic control unit from the ram position and speed sensors. Complementing the capabilities of this innovative suspension system is the DTC: the electronically controlled differential capable of progressively locking by up to 100% to prevent the front wheels from slipping, and in turn, maintain constant traction in varying grip conditions. The extraordinary capabilities of the new Frutteto S ActiveDrive make it a dependable workmate for the professional who needs a machine with superior grip, traction and stability that lets them work in complete safety and comfort. The machines in the new range are available in the S version, for working in fruit orchards with narrowly spaced rows, and in the V version for vineyards.